Enhanced recovery after surgery (ERAS), with several evidence-based elements, has been shown to shorten length of hospital stay and reduce perioperative hospital costs in many operations. This randomized clinical trial was performed to compare complications and hospital stay of laparoscopic liver resection between ERAS and traditional care. A randomized controlled trial was performed for laparoscopic liver resection from August 2015 to August 2016. Patients were randomly divided into ERAS group and traditional care group. The primary outcome was length of hospital stay (LOS) after surgery. Second outcomes included postoperative complications, hospital cost, and 30-day readmissions. Elements used in ERAS group included more perioperative education, nurse navigators, nutrition support for liver diseases, respiratory therapy, oral carbohydrate 2 h before operation, early mobilization and oral intake, goal-directed fluid therapy, less drainages, postoperative nausea and vomiting (PONV) prophylaxis and multimodal analgesia. 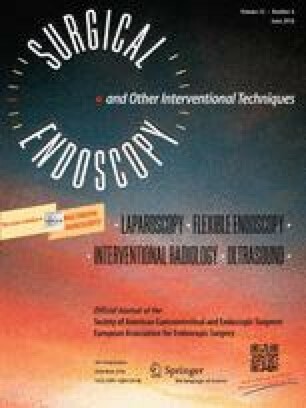 The study included 58 (two conversion to laparotomy) patients in ERAS group and 61 (three conversion to laparotomy) patients in the traditional care group. Postoperative LOS was significantly shorter in the ERAS group than traditional care group (5 vs. 8 days; p < 0.001). ERAS program significantly reduced the hospital costs (CNY 45413.1 vs. 55794.1; p = 0.006) and complications (36.2 vs. 55.7%; p = 0.033). Duration till first flatus and PONV were significantly reduced in ERAS group. Pain control was better in ERAS (Visual analogue scale (VAS) POD1 (≥ 4) 19.0 vs. 39.3%, p = 0.017; VAS POD1 2.5 vs. 3.1, p = 0.010). There was no difference in the rate of 30-day readmissions (6.9 vs. 8.2%; p = 1.000). ERAS protocol is feasible and safe for laparoscopic liver resection. Patients in ERAS group have less pain and complications. Xiao Liang and Hanning Ying contributed equally to this work. The online version of this article ( https://doi.org/10.1007/s00464-017-5973-3) contains supplementary material, which is available to authorized users. Thanks for the patients who agreed to participate in the study and the surgeons, anesthetists, statistician, and nurses who helped to implement the protocol. Thanks Dr. Liu Hui, a statistician from institution of minimally invasive surgery of Zhejiang university who carried out random allocation and helped with the statistician analysis. This study was supported by the Medical Technology Project of Zhejiang Province (Grant 2015RCA015) and the Natural Science Foundation of Zhejiang Province of China (Grant LY17G030019). Xiujun Cai, Xiao Liang, Hanning Ying, Hongwei Wang, Hongxia Xu, Minjun Liu, Haiyan Zhou, Huiqing Ge, Wenbin Jiang, Lijun Feng, Hui Liu, Yingchun Zhang, Zhiying Mao, Jianhua Li, Bo Shen, and Yuelong Liang declares no conflict of interest or financial ties to disclose.